Letters From A Tapehead: Anenon: "Once"
I’ve listened to “Once” more than once at this point. A lot, in fact. With hurried blasts of hi-hat, delivered with the precision and speed of a singular member of a dominating championship drumline, emotional swells of tone emerge from the ether, improvised melody, both ghostly and lush, lessening the severity of its otherwise very strict, very disciplined manner. I got the sense of thought processes acting in harmony with motor skills, dreams swimming through the grey matter at no cost to the elementary functions of the body. It’s like daydreaming during a jog. About midway through the song, I’m reminded of “Napalm Brain/Scatter Brain,” an instrumental track from DJ Shadow’s classic Endtroducing….. LP. The rhythmic shift involves heavier use of Jon-Kyle Mohr’s snare drum, which sounds almost machined as if generated as opposed to performed. A truly compelling piece of music, "Once" was performed by Anenon, which is the project of saxophonist and producer Brian Allen Simon. Partnered with Mohr, "Once" is the first single from the group's upcoming new album, Petrol, which will be out in early March via Friends of Friends Music. All information on Petrol was provided by Julian T. Schoen. 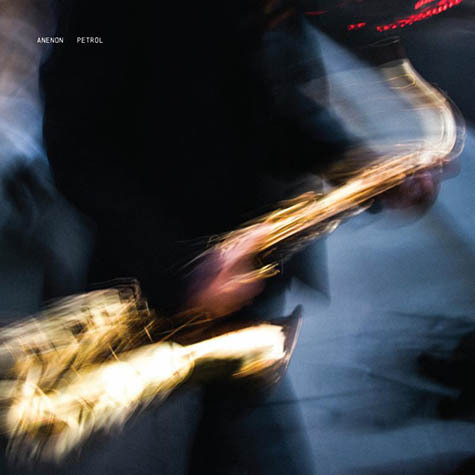 Anenon, the project of Los Angeles saxophonist, producer, and Non Projects record label owner Brian Allen Simon, shares the new single, "Once", off his third studio full-length, Petrol, out March 4 on Friends of Friends Music. "Once" exemplifies the creative synergy between Anenon and friend, drummer and collaborator Jon-Kyle Mohr, who helped develop Petrol through a number of improvisational recording sessions. From the full-bodied sound design to the whip-speed drum pattern, "Once" embraces the listener in a world melding jazz, ambient, classical and electronic musics. In addition to the album release, Simon was invited by the Museum of Contemporary Art in Los Angeles to curate and perform in a yearlong series titled Monument, in which musicians are paired with specific art pieces or galleries to bring sound & music to the visual art space, juxtaposing a new medium and creating new avenues in how one interacts with art. On January 21, Simon, along with drummer Mohr, violinist Yvette Holzwarth, and guitarist Sam Gendel performed the first Monument series in the Black Mountain College room. Gendel, it's worth noting, also performs as INGA, and recently shared his rendition of Rahsaan Roland Kirk's "Volunteered Slavery". You can stream the performance now via MOCA's Soundcloud, above.